Time, Time, Where Have You Gone? Have you grown new wings? My feelings right now! Perfectly expressed! Hahaha, wow , perhaps time grew new wings, hey it’s nice. Thanks. Ah, time. It is so fickle. Slowing down when we are anticipating something (like Santa coming on Christmas!) and then it speeds up when we are enjoying something so much! Nice poem about time! Hopefully, you will not run out of time as so many of us seem to do! Time heals all wounds. Understanding minds eternal nature, you are free. Thanks for the great poem. Same here , I too ask this question many a times! All of us can relate to this Frank! Woah! Seriously! Where has time gone? It just flies so fast, especially when you need it for studying for the exam scheduled the next day. LOL. My perspective would be this right now. Cause i have an exam tomorrow… and just soooo little time. 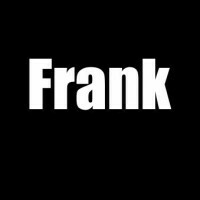 Really enjoyed this one, Frank. Short poem about short time. Dig it. You’re welcome! 😊 thank you! When you say shorten the days do you mean less than 24 hours in a day? No not in that context, its parabolic.